The founder of Netvibes is moving on. 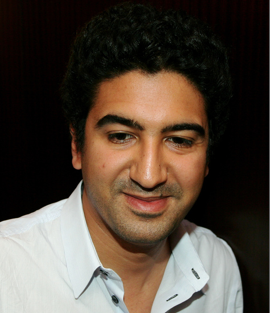 Tariq Krim is stepping down as CEO of Netvibes to “spend less time day-to-day” at the company and work on a “new project,” he tells me. (More details on that project later). He will remain on the board of the company and as a non-executive strategic adviser. Current Netvibes COO Freddy Mini will take over the helm as CEO. “My role was to transfer Netvibes from a personal start page into a widget platform,” says Krim. He feels that the technical foundation for that shift has been completed with the recent release Ginger, the latest version of its site. Krim also reveals that, in an attempt to take on Google Gadgets, “All the technology around our widget platform will be open source.” The APIs and tools will be available on Friday at Netvibes.org. And they will also work for turning widgets into mobile apps. Netvibes pioneered the widget start page, but fighting against My Yahoo and iGoogle is a losing battle. (Competitor Pageflakes recently sold itself rather than continue to go it alone, for instance). In April, Netvibes showed a dip in unique visitors worldwide to 2.3 million. 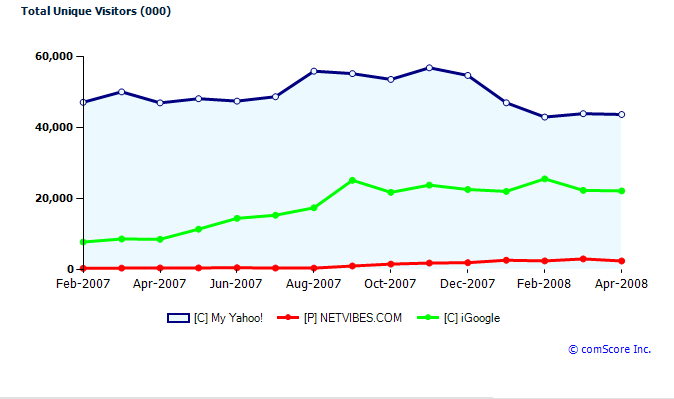 My Yahoo had 43.7 million, and iGoogle had 22.1 million, according to comScore. Krim at least realized that he had to turn Netvibes into a broader widget platform. But trying to win the widget wars against Google and others is not going to be much easier.